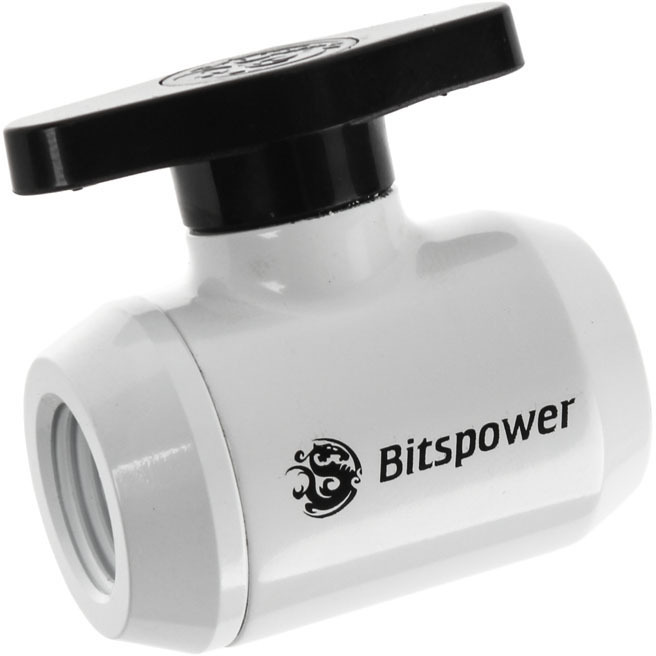 The Bitspower shut-off valve is the ideal extension for all water cooling systems, where regular modifications are made. Simply turn the stopcock 90 degrees to perform the required work on the watercooling. The module itself is white and as usual provided with a discreet Bitspower lettering. In addition to the black stopcock, it also features two G1 / 4-inch female threads for the installation of two matching connections.